Also called: ALS, amyotrophic lateral sclerosis. Lou Gehrig's Disease is a very rare disease that only effects about 20k people each year.The cause is not known in 90% to 95% of cases. About 5-10% of cases are inherited from a person's parents.There is no cure for ALS. A medication called riluzole may extend life expectancy by about two to three months. Approximately 5,600 people in the U.S. are diagnosed with ALS each year.ALS is two per 100,000 people, and it is estimated that as many as 30,000 Americans may have the disease at any given time. Although the life expectancy of an ALS patient averages about two to five years from the time of diagnosis, this disease is variable and many people live for five years and more. More than half of all patients live more than three years after diagnosis. ALS occurs throughout the world with no racial or ethnic boundaries. The onset of ALS is insidious with muscle weakness or stiffness as early symptoms. This challenge was created to raise awareness and money for Lou Gehrig's Disease. 2.4 Million Tags on Facebook of the Challenge. 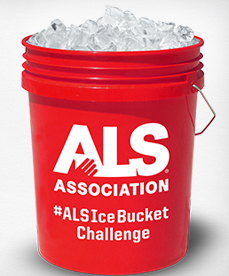 This challenge grew fast as over 2.4 million tags on Facebook involving the ALS ice bucket challenges existed. 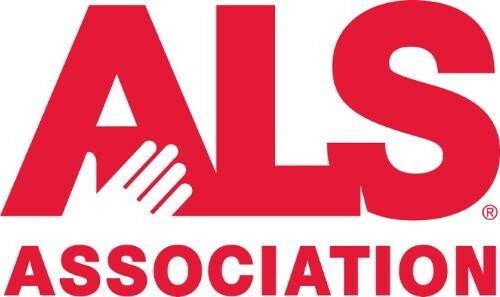 The ALS Association helps people with ALS and informs people about the warnings and symptoms of ALS. Difficulty walking, tripping or difficulty doing your normal daily activities. Weakness in your leg, feet or ankles. Slurring of speech or trouble swallowing. Muscle cramps and twitching in your arms, shoulders and tongue. Is it Fatal Or Deadly? Spasticity. The arms or legs resist being moved by someone else. The Babinski sign. The toe moves upward when the sole of the foot is stroked. "The Lou Gehrig Society." The Lou Gehrig Society. N.p., n.d. Web. 17 Mar. 2015. "Lou Gehrig's Disease (ALS)." KidsHealth - the Web's Most Visited Site about Children's Health. Ed. Steven Dowshen. The Nemours Foundation, 01 Jan. 2013. Web. 17 Mar. 2015. "Facts You Should Know." - The ALS Association. N.p., n.d. Web. 15 Mar. 2015. "ALS Therapy Development Institute." ALS Therapy Development Institute. N.p., n.d. Web. 17 Mar. 2015. "Amyotrophic Lateral Sclerosis." (ALS) Treatments and Drugs. N.p., n.d. Web. 14 Mar. 2015.